Intraspecific interactions such as Allee effects are key properties that can guide population management. This contribution considers component Allee effects that are elementary mechanisms leading to declines of fitness at the population scale, i.e. demographic Allee effects. It especially focuses on the consequences of such properties in predator populations, and investigates their repercussions in a biological control context. A modelling framework able to account for reproductive and/or foraging component Allee effects is proposed. From this, four models of augmentative biological control, corresponding to the periodic introduction of natural enemies, have been investigated. 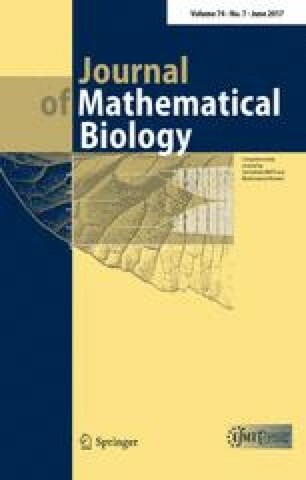 This is done using semi-discrete models: ordinary differential equations are used to depict predator–prey dynamics and a discrete equation describes the abrupt augmentation of predators at periodic intervals. In that context, stability of a prey-free solution corresponding to pest eradication has been analyzed. It has been found that rare but large introductions should be preferred over frequent and small ones, when Allee effects influence predator populations. In particular, the occurrence of foraging, rather than reproducing, Allee effects significantly hinders pest eradication. Cases where the pest-free solution is locally, but not globally, stable were also observed and were shown to be favored by the occurrence of reproductive Allee effects among predators. The research leading to these results has received funding from the European Union Seventh Framework Programme (FP7/2007-2013) under the Grant n265865 (PURE project). This work also benefited from the support of UMT Fiorimed, certified by the French Ministry of Higher Education and Research (2015–2019). This work is part of the PhD thesis of Nicolas Bajeux which is funded by University of Nice Sophia Antipolis. We gratefully thank both reviewers as well as the editors for their relevant and meaningful comments.